The Spectacled Porpoise is a rarely seen member of the porpoise family and is believed to be found around the cool sub-Antarctic waters and has been seen off South Georgia in the Atlantic. 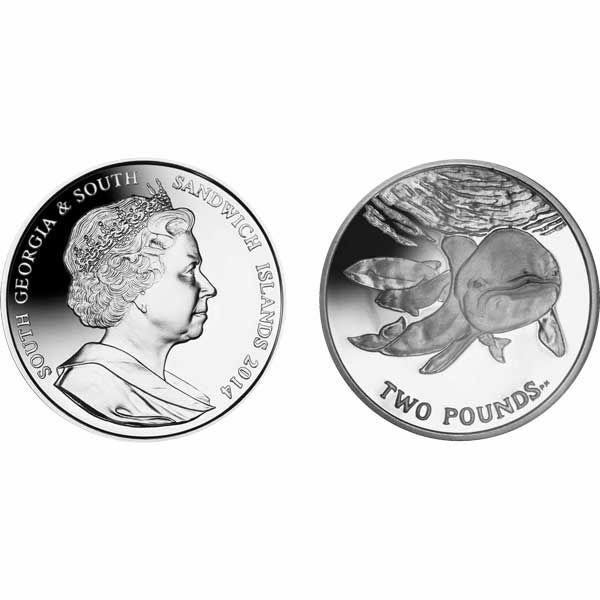 It is therefore appropriate that this amazing new coin is being issued on behalf of South Georgia & South Sandwich Islands. The species is easily distinguished from other porpoises by a characteristic dark ring around the eyes which is commonly surrounded by a further light ring giving the indication of spectacles giving the animals their name. The Spectacled Porpoise has distinctive black and white markings – black above and white underneath – with a white stripe on the upper surface of the tail. They are fast, active swimmers and normally avoid boats which is why so little is known about this particular species. The total population is also unknown and therefore the species is listed as a Threatened Species. 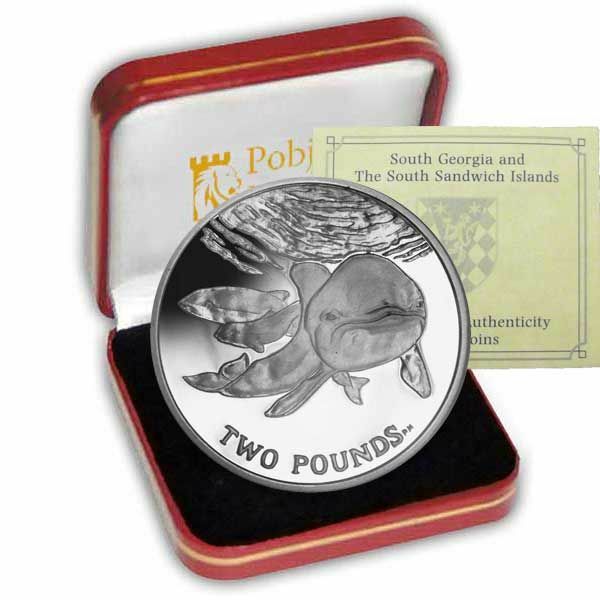 The coin itself features a beautiful Spectacled Porpoise in the foreground with a mother and her calf in the background. The obverse of the coin features an effigy of Her Majesty Queen Elizabeth II by Ian Rank-Broadley FRBS. The coins are struck to the highest quality with the precious metal versions being produced with a stunning ‘proof’ finish. The design on each coin is in relief with a glorious mirror-finish background.